If you’re hosting Christmas this year, I’m sure you’ve been planning the dinner menu for weeks by now. Or your Mom or Aunt or Grandma has… right? ? 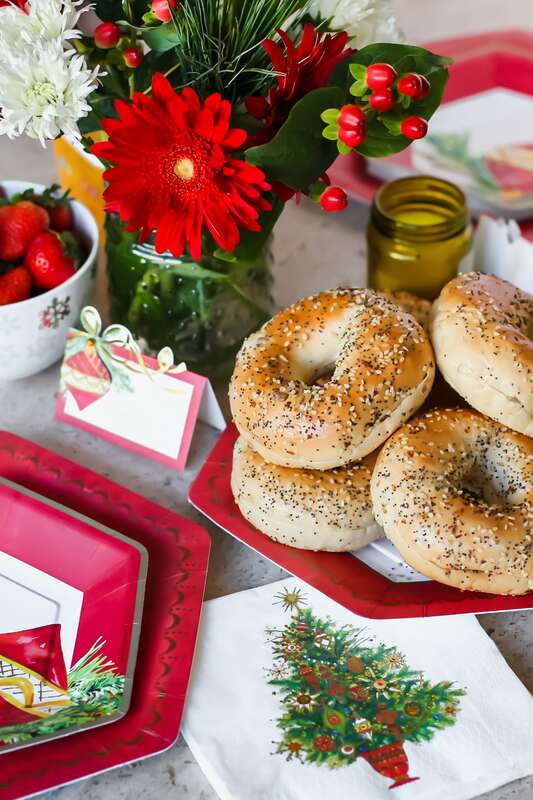 But what about Christmas Brunch?! Since last year was our first year at home, my brother and his wife Ali decided to make their famous homemade bagels and it was one of my favorite parts of the whole day. Everyone was still sleepy in pajamas, pouring cups of coffee with Christmas movies playing on the TV and my parents golden retriever begging by our feet. The best. 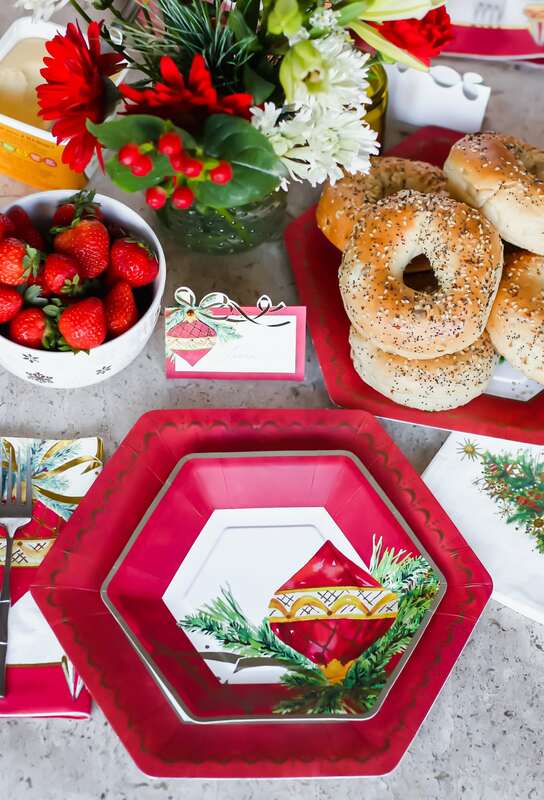 So this year, we’re doing it again – except instead of dirtying a bunch of nice dishes, I found the cutest plates, napkins and place cards by Papyrus! The place settings can be super simple. 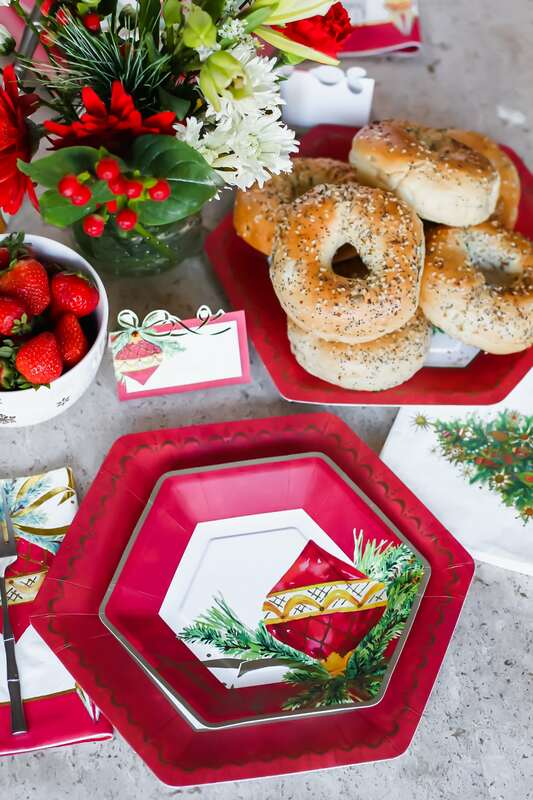 Start with the Ornament Dinner Plates for your bagel and eggs (or whatever you make as the ‘main dish’). Add their cute dessert plates for a side of your favorite berries. Everyone also gets a napkin – I love the dinner size with ornaments on them for everyone’s place setting, but the Christmas Tree Lunch Napkins are also darling. And last but not least, everyone needs a place card! 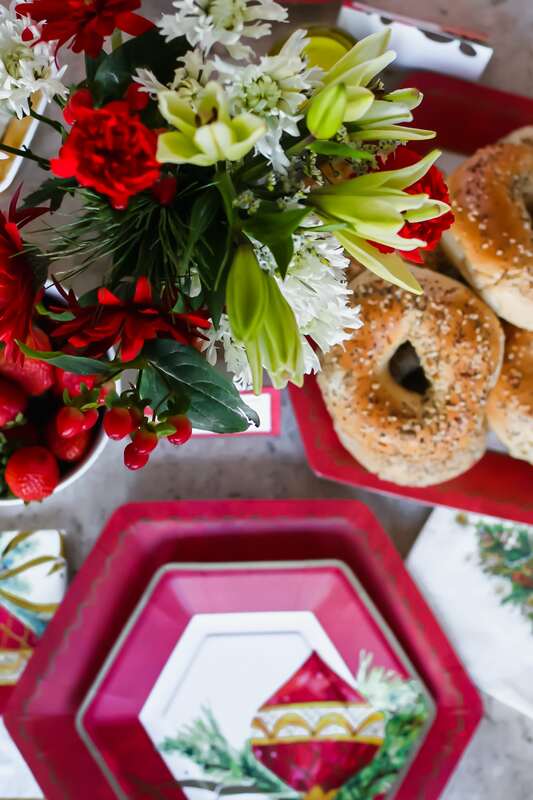 Add some festive flowers and you have a gorgeous brunch table to kick off the most festive day of the year! 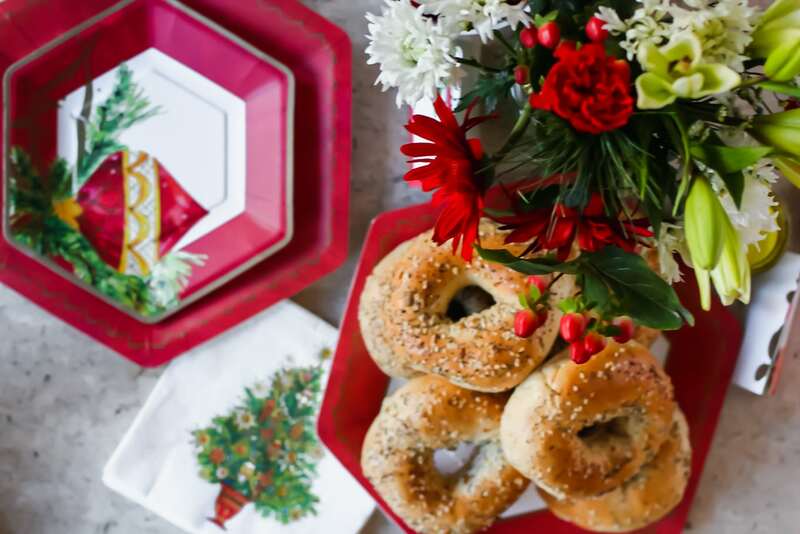 I’ll admit, these are not my brother’s homemade bagels… but if you want the recipe, you can read this post from last year! 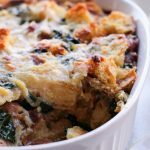 Not sure what to make for brunch this year? 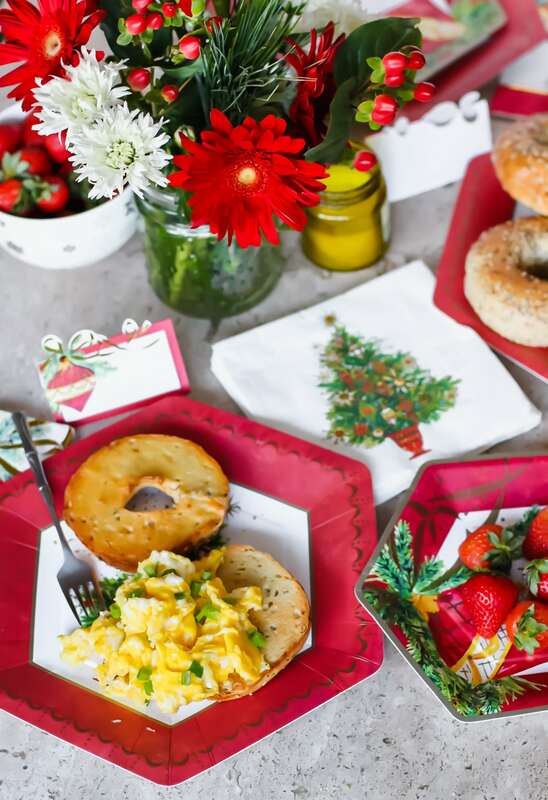 What are your favorite Christmas Brunch recipes?! *This post was sponsored by Papyrus, but (as always!) all opinions are my own. Thank you for supporting the brands that make Lake Shore Lady possible!